Top 10 Gluten Free Vegan Recipes of 2017 (V, GF): A mouthwatering collection of Beaming Baker’s top gluten free vegan recipes of 2017! Vegan, Gluten-Free, Dairy-Free, Paleo. 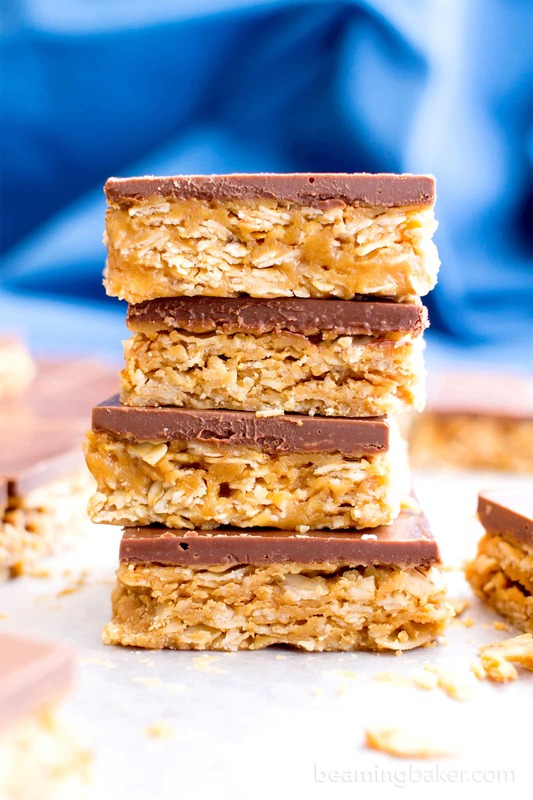 These No Bake Chocolate Peanut Butter Cup Oatmeal Bars are totally a mouthful of words, I’ll admit it. But funnily enough, they only require 4 ingredients to make! And they’re AMAZING. My, oh my, what a year it’s been! And we’re just talking about sweets. Thank goodness. In 2017, Beaming Baker grew considerably, and we’re not just talking about my pantry here folks. In 2017, I shared my very first vegan cupcake recipe with you. And you loved it. 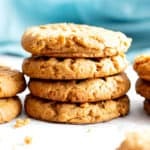 In 2017, Beaming Baker reached 6 million+ lifetime pageviews, almost 58,000 followers on Instagram, and nearly 500,000 views on the most popular recipe post in one year. It’s been an insane year of growth, trials, tribulations, recipe fails, recipe wins, stress, joy, happiness, love, grumpiness, sleepless nights, and unexpected triumphs. This year, Erik and I got serious about the blog and gave it our all. We also moved from Maine to Massachusetts, built a closer, more meaningful relationship with my mom, and started going to the gym. We were there for the joyful birth of my nephew, Kai, and we were here to celebrate so many important family events. We finally made time for what’s important. 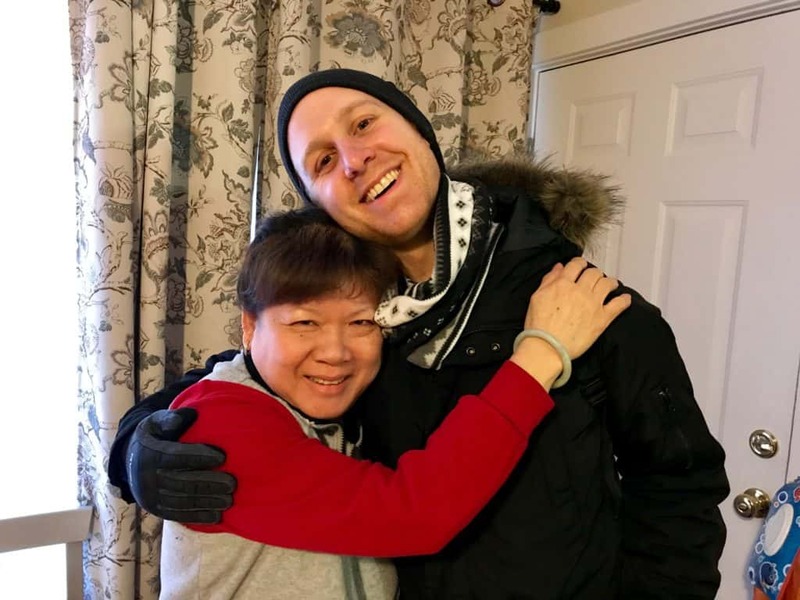 We grew closer to the people we loved and we made more meaningful connections. I am so grateful for you. And for the purpose that you give my blog, my career, and my drive. Beaming Baker means more because of you: because you take the time to find the allergy-friendly recipe your 6-year-old daughter wanted for her birthday, because you searched high and low for a maple pecan cookie that your husband has been craving for decades but couldn’t have because of dietary restrictions, because you decided to create something healthy and delicious for yourself—because you deserve it. 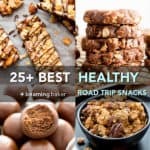 I make these recipes for you. And it’s my greatest honor to work my hardest to never let you down. Here’s to many, many more years of kitchen adventures together. Let’s count down the Top 10 Gluten Free Vegan Recipes of 2017 on Beaming Baker. Are you ready for this? 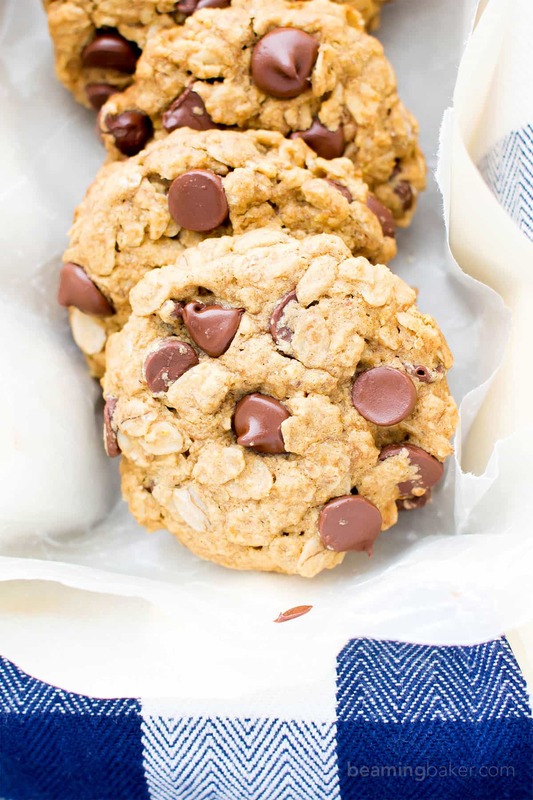 10) Gluten Free Vegan Oatmeal Chocolate Chip Cookies (V, GF, Dairy-Free): an easy recipe for soft, chewy oatmeal cookies bursting with chocolate chips and oats! Vegan, Gluten-Free, Dairy-Free. Photo Above. 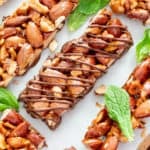 9) No Bake Paleo Chocolate Almond Butter Bars (V, GF, Paleo): a 4-ingredient no bake recipe for thick, decadent almond butter bars topped with chocolate. Vegan, Paleo, Gluten Free, Dairy-Free, Protein-Rich. 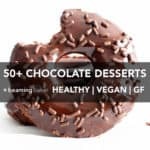 7) Ultimate Fudgy Paleo Vegan Brownies (V, GF, DF): an easy, one bowl recipe for seriously fudgy, super moist paleo brownies bursting with rich chocolate flavor. Vegan, Gluten Free, Paleo, Dairy-Free. 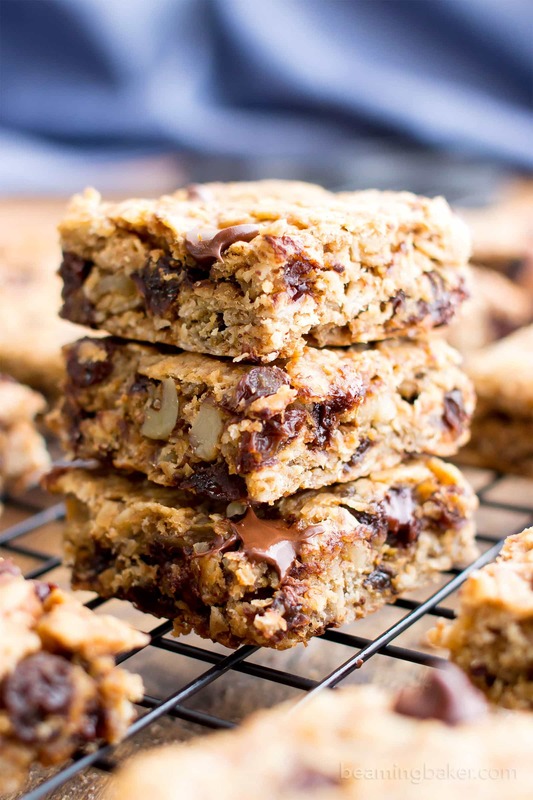 6) Peanut Butter Chocolate Chip Oatmeal Breakfast Bars (V+GF): a simple recipe for deliciously textured oatmeal breakfast bars bursting with peanut butter and chocolate flavor. Vegan, Gluten Free, Dairy Free. Photo Below. 5) 3 Ingredient Homemade Crunch Bars (GF, V, DF): a quick and easy gluten free vegan recipe for deliciously crispy homemade crunch bars. Vegan, Gluten Free, Dairy-Free. Try peppermint crunch bars for a festive twist! 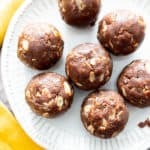 4) No Bake Peanut Butter Coconut Bites (V, GF): delicious, easy to make, energy-boosting and super-filling. 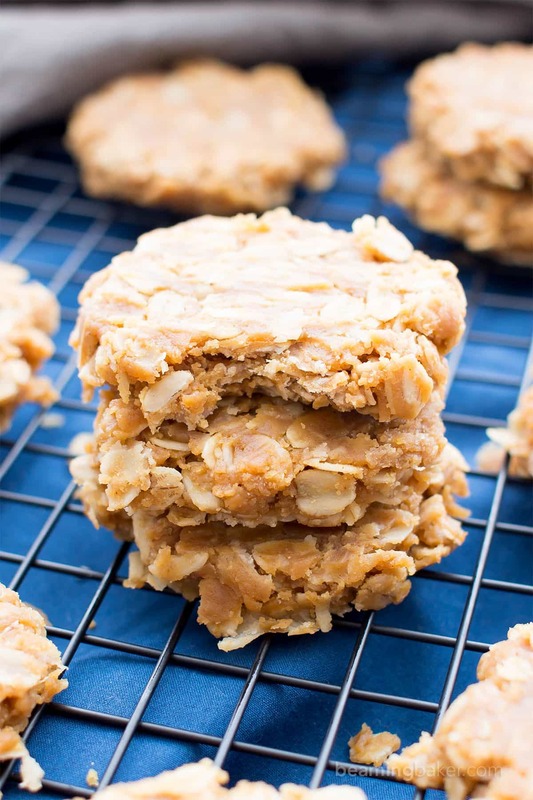 Made of just 6 simple ingredients, vegan, gluten free and healthy! 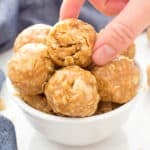 Shoutout to my peanut butter chocolate chip cookie dough bites! 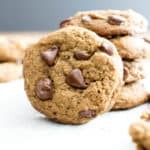 Yep, I said it: cookie dough! 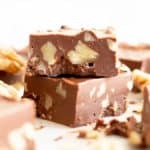 3) 4 Ingredient No Bake Chocolate Peanut Butter Bars (V, GF, DF): an easy recipe for thick, decadent peanut butter bars that taste like Reese’s. Vegan, Gluten Free, Dairy-Free. 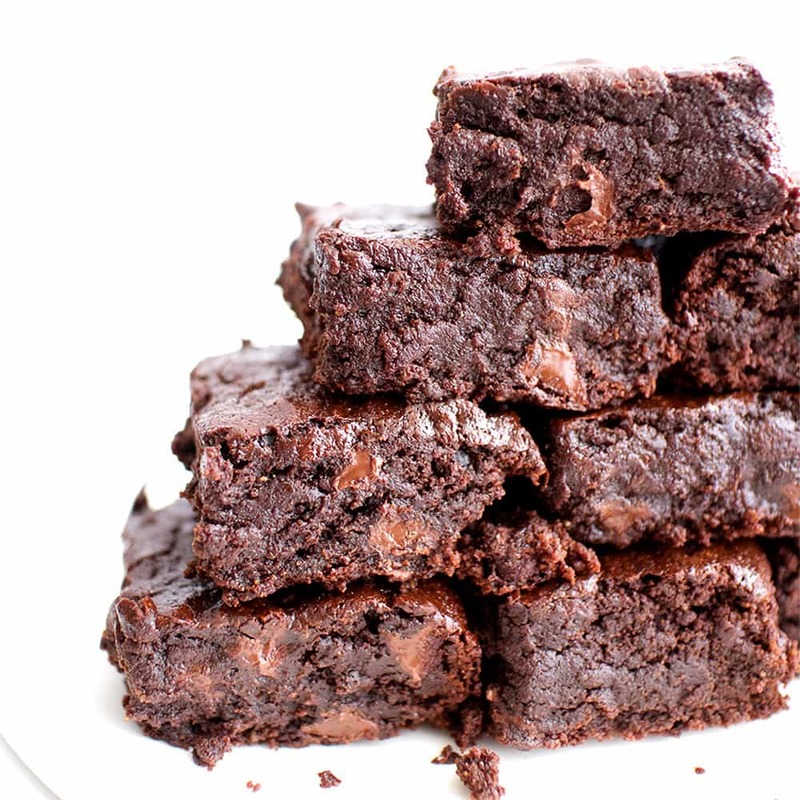 The BEST vegan brownies you’ve ever had: divinely rich, fudgy, and moist, bursting with chocolate flavor. Photo Below. Try the gluten free version: Gluten Free Vegan Brownies. 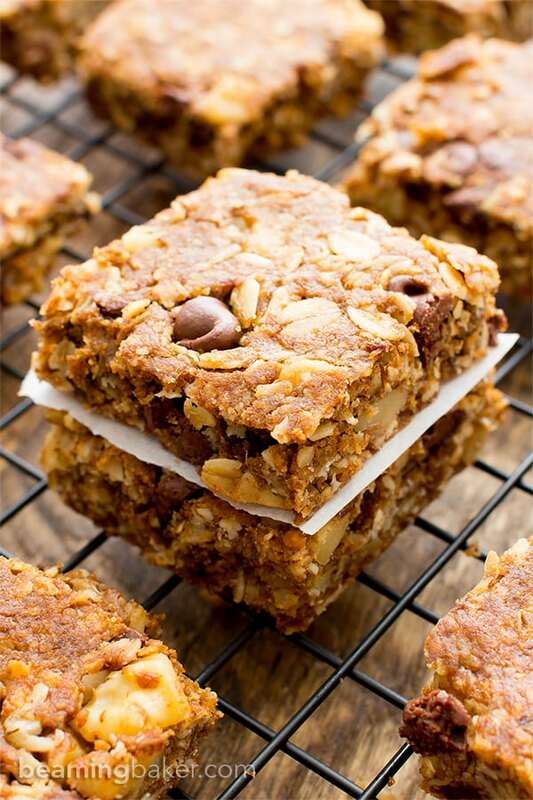 I get emails, comments and Instagrams about these Gluten Free Chocolate Chip Oatmeal Banana Breakfast Bars all the time! If you haven’t already, you’ve got to try! Personal Faves that didn’t make it, but might next year!!! Are your favorites on this list? Comment below and let me know! My pleasure. Hope you enjoy!